Pearl minks have a light brown/beige color with a grayish shade. The hair of the minks is very dense and soft. Those mink skins are also very suitable for dying. Responsible handling of the natural product fur is one of our main concerns. Therefore we only buy our pearl minks from renowned fur auctions like the well-known auction in Denmark. 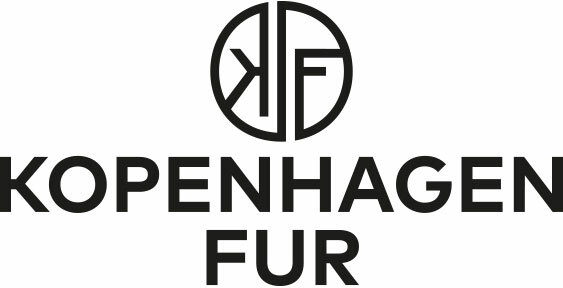 If you decide to purchase a product from Scandinavian pearl mink skins, you can be sure to receive a first class product from guaranteed excellent farms. 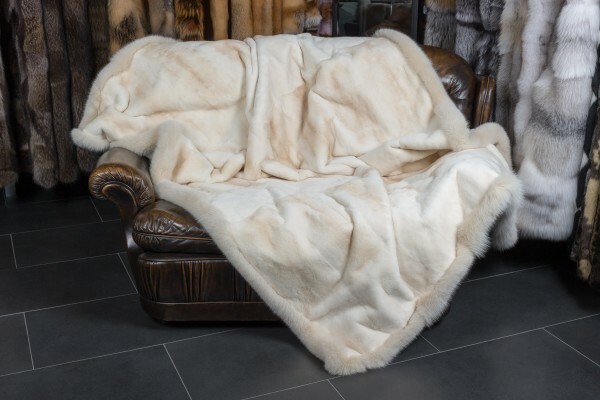 We produce pearl mink fur blankets, fur cushions, and accessories. If you have any questions or requests, please do not hesitate to contact us. If mink fur skins are sheared, you can call them velvet mink skins. The shearing process is a modern, velvet finishing, whereby the hair gets sheared, and the velvety soft underwool comes to the fore. By the velvet finishing of the mink skins, the fur products become lighter, and they feel very soft. Ссылки на другие веб-сайты "Sheared Mink Fur Blanket with Bluefox Frame"
Оценки покупателей по "Sheared Mink Fur Blanket with Bluefox Frame"